Explore the cellars of Fairfax House on Castlegate, and there’s no doubt about the Viscount’s enthusiasm for fine wines. Now looked after by York Civic Trust, the Georgian property still hosts regular tasting evenings run by international sommeliers, who you may find enjoying a tipple across the road at Pairings Wine Bar. 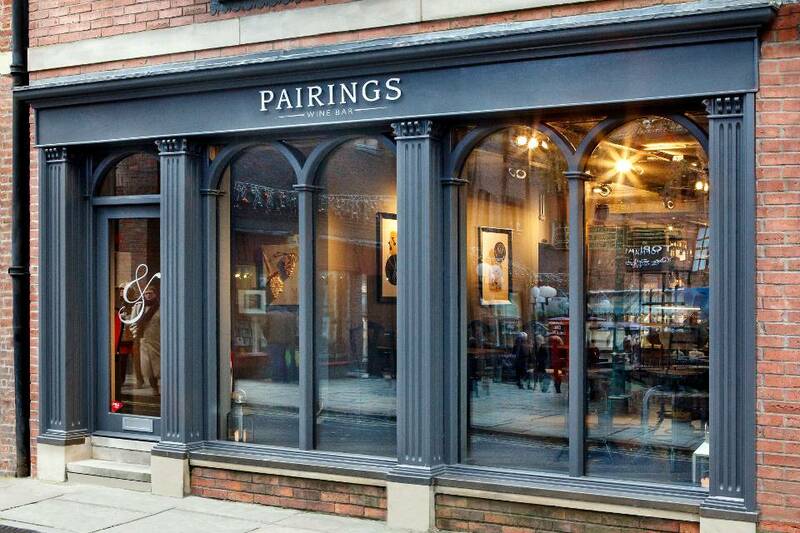 Run by Sisters Kate and Kelly, Pairings has been a destination for wine lovers since opening three years ago, near the historic Clifford’s Tower. And, as one of the Gentlemen at our sharing table enthused- it’s all in the name. The expertly sourced bottles and quality deli produce are delicious, but paired together, that’s when the magic really happens. As we bite into a fiery Guindilla chilli before sipping our Crios Torrontes, by female wine producer, Susana Balbo, we understand exactly what he means. Tonight we are uncovering the wines of Argentina, a country synonymous with Malbec, a favourite around the room, and interestingly a difficult grape to grow, due to it’s thin skin and susceptibility to frost. As you can probably gather, our host James was incredibly knowledgeable, talking us through each of the six wines, invariably asking for our feedback, which become more and more animated as we got slowly sozzled on his choices. 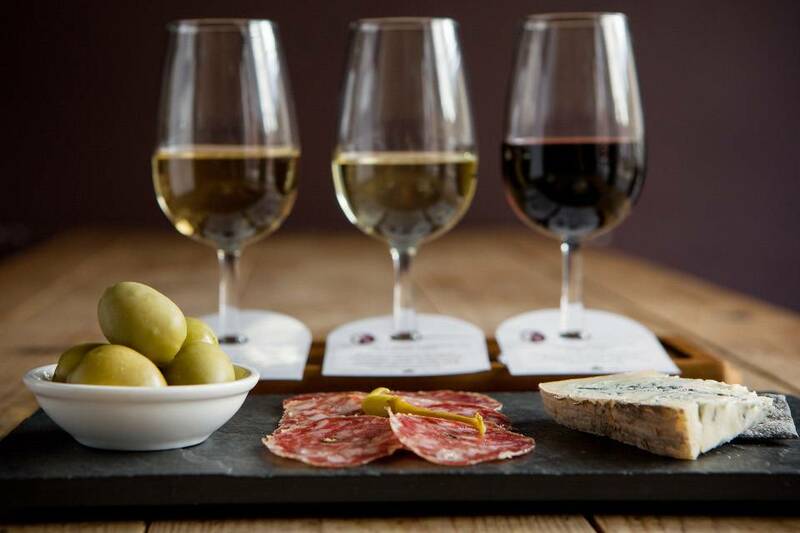 I’d recommend lining your stomach before one of these evenings, despite the nibbles matched with each glass, especially if you’re at work the next day! With the carefully selected 75ml measures going from light to heavy in body, we were glad not to start with the final red from the Uco Valley, which had a real oaky punch, but instead a Champagne-style white, with notes of toast, hazelnut, peach and citrus. All this chat of terroir and flavour profiles had us thinking about the similarities between wine and coffee – both affected by climate and soil quality, with their respective speciality scenes, and dedicated connoisseurs. 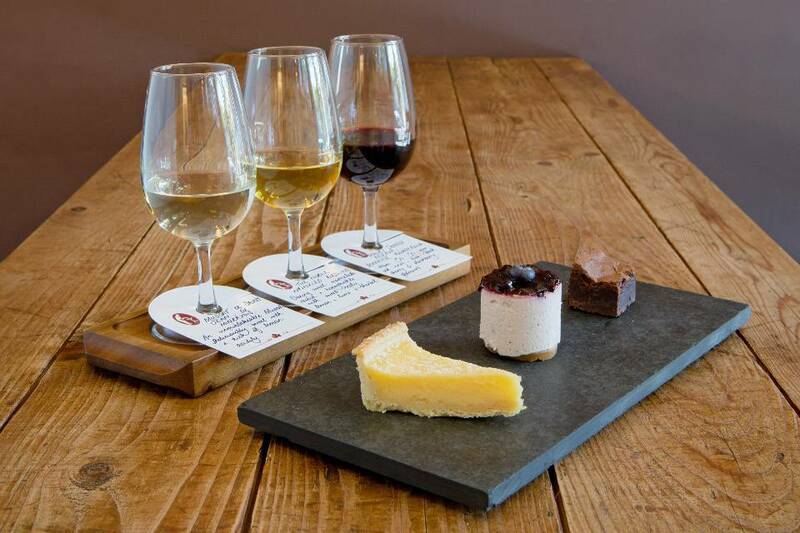 Pairings’ own James is certainly one of those connoisseurs, forever testing and tinkering with the balance of the small plates against the wines, to bring out the character in each. He explained how the dry acidic nature of the first wine cuts through the fat in the Whitby Crab Pate, sourced locally from Henshelwoods near the Shambles market. As we tuck in, the group sat next to us, who we learn are regulars at these tastings, often buy their favourite bottle to take home, delighted with how transparent Pairings are with where their wines are supplied. James is driven by new, exciting and award-winning winemakers, hence showcasing Susana Balbo at this event, the first female to be President of the Argentinian wine society. The Torrontes, served chilled, almost frosted the glass with a blue tinge, was aromatic and floral, a real marmite among customers. We are taught the professional way to measure the malic acid in wine, swishing it round our mouths to coat the palette, before tilting our heads down as we salivate profusely. We now know what we’ll be subjecting our guests to next time they come round for dinner! I remember my Dad trying to get me in to wine, possibly a little early, but always insisting I tasted it after a mouthful of food. To give him credit, he had a point, and none more so than with our next in line, a Sauvignon Blanc from Buenos Aires; a region not normally known for wine production, but where coastal breezes help cool the vines at night. It was sheer bliss paired with what James classed as ‘the best cheese in the world’, a triple cream French Delice de Bourgogne, which I slathered on to my charcoal cracker between sips of crisp apple and pear. Over Christmas Parings were busy with customers (and staff), trying to get their hands on wheels of their rare cheeses, some from a Spanish supplier, and some from Artisan wholesalers Harvey & Brockless. 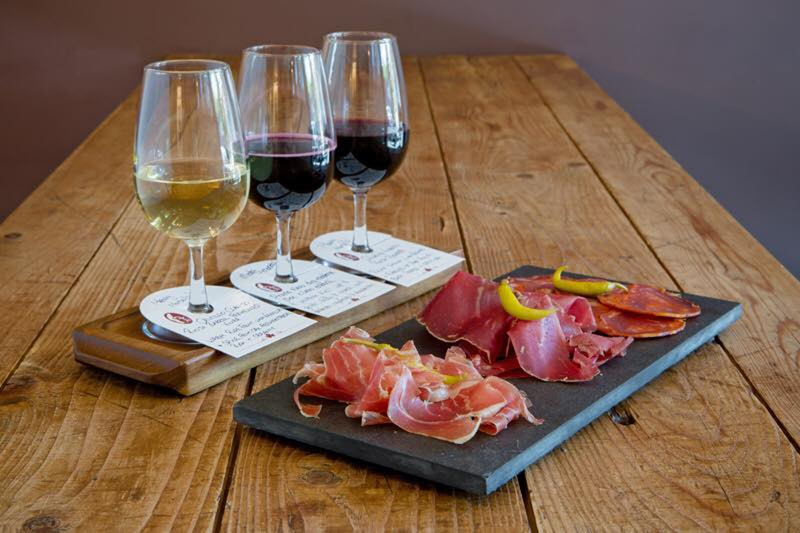 It’s a pretty cool concept, as without a kitchen, there’s emphasis on Pairings using only the finest of ingredients, served simply on slates or wooden platters alongside their wines. With the more tannin rich reds, we went on to try slices of Voakes’ pork pie with little pots of tomato chutney spiced with nigella seeds, Just Jane smoked Cheddar, and Venison & Green Pepper salami. 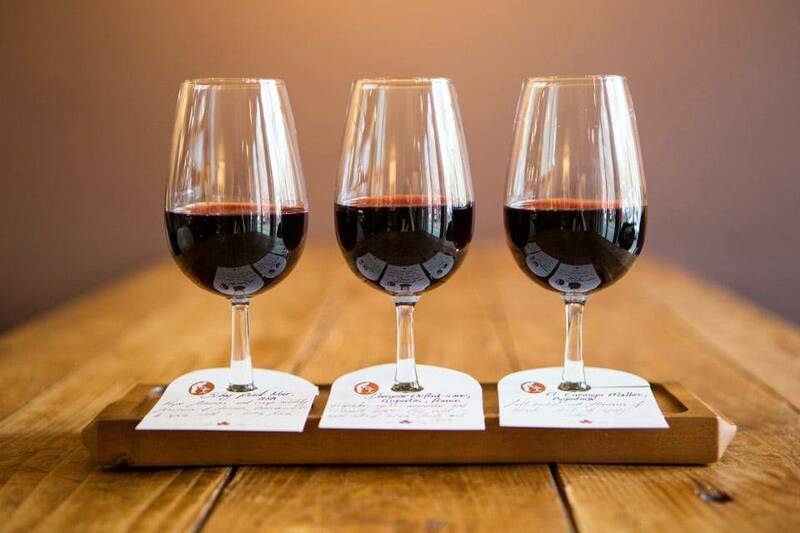 You could even finish off your evening with three 50ml pudding wines and a trio of mini desserts, or their famous Chocolate For Wine plate, where a Brix 3oz single origin Ghanaian bar meets a fruity suggestion. With the glasses glinting on wire racks above the bar, huge gauze lampshades over the tables, and wooden stools by the windows overlooking the square, Pairings is the perfect place for an Aperitif, or nightcap after a meal. Look out for the monthly wine clubs which explore a particular grape or region in a relaxed yet informative environment. They offer gift vouchers which would be great for friends and relatives, and it’s the sort of bar that would impress on a date, but the best thing about one of these evenings is the people you meet, sharing plates and stories over some of the finest wines around. We had recommendations for our next holiday to Tuscany, and even swapped business cards and contact details – which is a good thing, as after my six measures I was struggling to remember their names!